When you become a teacher, you give yourself the ability to influence the generation that will become our future leaders. As an educator, you will experience rewards that will last throughout your career. The following information will help you on your way toward becoming a successful teacher in the state of Kansas. The first thing you must do to become a successful educator in Kansas is to decide the path of teaching you want to take. For example, you must decide if you would like to teach children at the elementary, middle, or high school level. You should also decide if you would like to teach general education or special education. Whatever it is, you should decide before moving on to other steps. If you are not sure, think about the subject or subjects that you feel comfortable with. If you have a specialty in a specific subject, you can go the middle school or high school route. If you prefer to teach multiple subjects, you can go the elementary school route. In order to become a licensed or certified educator in Kansas, candidates must at a minimum hold a Bachelor's Degree. In addition, candidates should complete a state board approved teacher preparation program. If you do not have a Bachelor's Degree yet, you will most likely be able to participate in a joint or a blended program. This type of program essentially puts together all of the work needed to complete a teacher preparation program and a Bachelor's Degree. In other words, this route will allow you to complete the requirements for becoming a licensed teacher in a timely manner. In order to become a licensed teacher in Kansas, one should complete an educator preparation program. The program should be accredited by CAEP (Council for the Accreditation of Teacher Preparation), formerly NCATE and TEAC. There are two elements which usually make up a teacher preparation program: curricula and fieldwork. The fieldwork component often includes classroom observations at different schools as well as student teaching. Student teaching will require the teaching candidate to work closely with a mentor teacher in order to prepare and implement lessons in a classroom setting. In class, you will learn about teaching theories, teaching practices, classroom management, lesson plan design, differentiated instruction, technology integration, and more. However, if you already have a degree, you will be able to complete a post-baccalaureate or alternative teacher preparation program. If the traditional route does not apply to your circumstances, know that there are alternative routes to teacher certification in Kansas. If you already have a Bachelor's Degree and are considering changing your career, you could take the Kansas State Department of Education's Restricted Teaching License Alternative Pathway. This route is for non-traditional applicants. For this pathway, candidates must hold at least a Bachelor's Degree with minimum of 2.75 GPA. In addition, candidates must pass the PRAXIS II subject matter competence exam in the content area they wish to teach. If you meet these base requirements, contact a school or university in Kansas which offers this alternative route program to teacher certification. The next step to becoming a teacher in Kansas is to pass a few tests. The state requires candidates to earn a passing score from one of the four Principles of Learning and Teaching (PLT) assessments. It is recommended that candidates take the most appropriate PLT test for their level of licensure or level of specialization. In addition, you will need to successfully pass a subject matter competency test specific to the subject or grade you wish to teach. The Praxis II Subject Assessments test can be taken to fulfill the subject matter competence requirement. Ask a program counselor or advisor about these tests in order to find out which are required for your specific field. In addition, some programs may require that applicants pass some of these exams before entering or exiting a teacher preparation program. After completing the steps, you will be ready to begin your life as a licensed teacher in the state of Kansas. The rewards of being a teacher will be apparent as soon as you begin your first day. Candidates wishing to pursue a public teaching job in Kansas are encouraged to make an account through kansasteachingjobs.com (KEEB) which is supported by the Kansas Department of Education. Current needs are for language arts teachers, elementary teachers, and special education teachers, as well as school principals and administrators. Having been hired, teachers can join the Kansas National Education Association (KNEA) and/or the Kansas Association of American Educators. Both offer labor support and benefits to members. In addition to the state's extensive public system, private schools require educators too. The application process, benefits, and salary may differ from what the state's public schools offer. Currently there are 247 private schools in Kansas. The average student to teacher ratio is 13:1. Some private school mandates might have an emphasis on a particular religion or gender. Those seeking to be employed in a private school can find out more specific requirements directly from the school. The table below lists the number of public school teachers in Kansas by grade level during the 2012-2013 school year. There are more than 200 private schools with an estimated 2,900 private school teachers in Kansas. The table below details the number of teachers by grade level during the 2011-2012 school year. Professional development for educators is an important part of the teacher role. The purpose of career-long professional development is several-fold: teachers undertake additional courses, seminars, symposia, and self-directed learning opportunities several times a year in order to improve their practice in the classroom. In addition to improving their practice, teachers often need to engage in professional development in order to maintain licensure, advance to different roles, or make more money. The Kansas State Department of Education has a variety of professional development offerings to meet the needs of the state's teaching professionals. In 2012, the Board of Education voted to adopt the Learning Forward Standards for Professional Development. This standard ensures that educators are required to participate in annual training that is related to their role and future roles, as well as how teachers can earn Professional Development Points as a method of tracking and accrediting successful training. The state partners with a number of institutions and online venues to bring offerings to teachers. Teachers are encouraged to channel inquiries through their district. 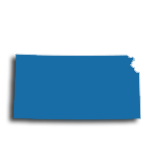 You'll begin teaching in Kansas on an Initial Teaching License. This two-year license is upgraded to a Professional License by completing a one- or two-year mentoring program (depending on your license) and at least one year of experience in your endorsement area. You'll renew your Initial Teaching License until you've achieved these requirements. After you've completed these requirements, you can upgrade your Initial Teaching License to a Professional License through the Kansas State Department of Education here. The renewal requirements for a five-year Professional License vary according to your degree. Pursue a master's degree and you'll be able to simplify the renewal requirements for the five-year Professional License. This is because educators who hold a master's degree need only earn 120 professional development points during the five-year renewal cycle. Plus, master's-prepared educators may substitute the required professional development points for three years of accredited experience. You can exercise this substitution option for two separate renewals in the course of your career. Beyond that, professional development points must be earned. 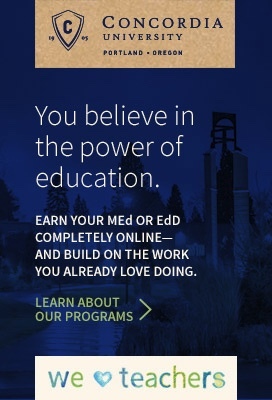 If you hold a bachelor's degree, you must earn 160 professional development points during each five-year renewal cycle, which must include at least 80 points earned through formal teacher development courses offered through a college. Read more about renewing your Professional License here. While the college credit requirements can be earned by taking either undergraduate or graduate courses, if you pursue a master's degree, you'll meet the entire requirement by completing just two courses (one semester hour of college credit = 20 professional development points). In addition to a simplified license renewal process, you may also earn a bigger paycheck with the addition of a master's degree. For example, educators in the Wichita Public Schools with a bachelor's degree earn a minimum salary of $42,177, while those with master's degree earn a minimum salary of $44,806 - a difference of more than $2,600.